Realize that you’re mostly investing in ink. 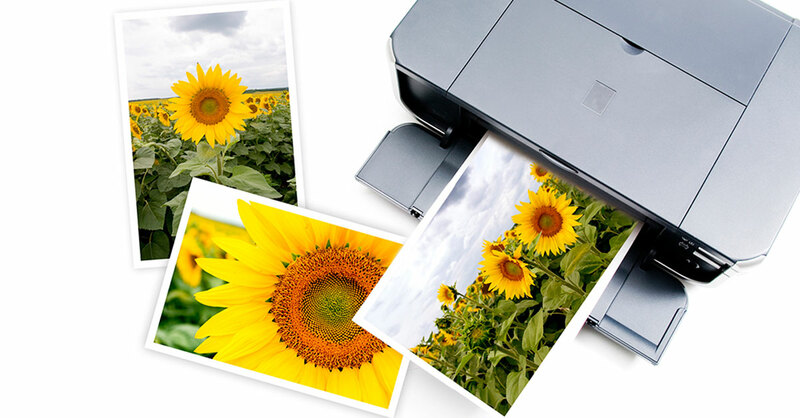 Much of what separates photo-specific printers from standard home printers is the ink. Most home printers use only four inks for all the colors in a photograph. A photo printer, on the other hand, might use seven, eight or 12 different inks. This allows for much more nuance and precision. The kind of ink is also important. Home printers use either dye- or pigment-based ink. ­Dye-based inks will produce photos that can start to fade or shift in a year or less. Pigment inks are going to make better-looking photos that will last for decades. Also, be prepared for a shock when you buy ink. Each color might cost $50—or $400 for a full set. But they will last a long time. You can typically get about 400 eight-by-10-inch photos from a $400 set of inks. Epson SureColor: Relatively affordable but top of the line in terms of the types of paper it can handle and image quality, the SureColor line comes in two models. The P600 ($800) makes prints of up to 13˝ x 19.˝ The P800 ($1,295) can accommodate paper up to 17 inches wide and allows you to use a roll of paper to print panoramas, for example. Canon Pixma Pro: The Pixma Pro 10 ($700) makes prints as large as 13˝ x 19.˝ The image quality is comparable to that of the Epson SureColor series but for a little less money. Important: Photo printers work best when they’re used regularly. If they sit idle for months, the inks can dry up and won’t print correctly when you finally need them.